We’ve been serving this community for over 60 years as the experts in vision and eye care. We are a family oriented practice, and our optometric services are offered to both children and adults. We pride ourselves on helping our patients improve their vision and their lives. Our optometrists are constantly improving their knowledge and skills with the latest advances in vision care. This allows us to always offer the best possible solution for you no matter what problem you bring to us. Our office is equipped with the latest technology as well as several standard tools we use to treat our patients. The resources we have access to help us to quickly and accurately determine your exact needs. This reduces your costs while improving the level of service you receive from us. We have the latest Optical Coherence Tomography technology. This noninvasive device maps out the shape of your eye with imaging software. We can improve the accuracy of the prescription for your corrective lenses to give you the best vision. We are also able to spot potential problems with your eyes. We work with your budget and your insurance company to make your vision care affordable. 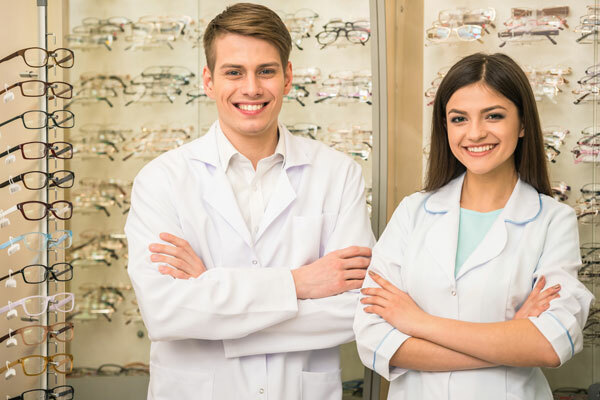 We will go over your options for glasses, contacts, and any other treatments prior to making a final sale and help you pick the option that is the most appropriate for your circumstances. Make an appointment with an eye doctor today and start taking better care of your vision by giving us a call at (703) 578-3600.